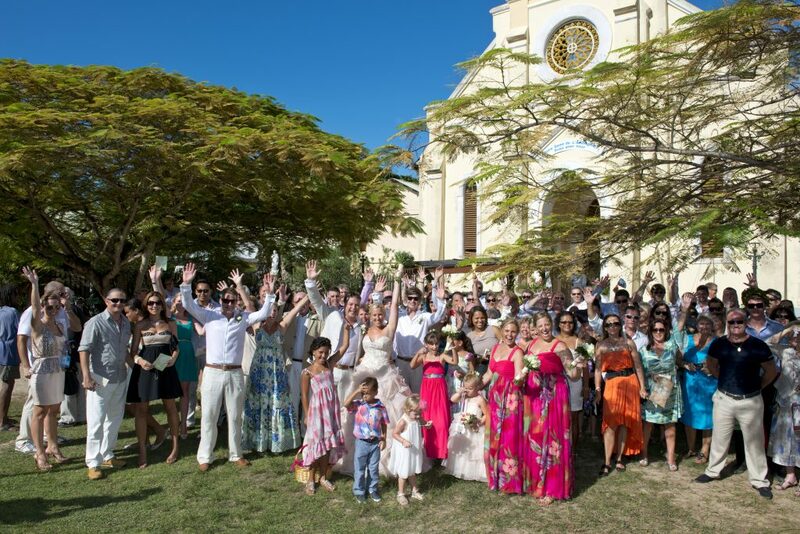 Destination weddings have become extremely popular in recent years, with an estimated 25% of all couples opting to ditch the traditional wedding in favour of a more intimate gathering at a destination they love. 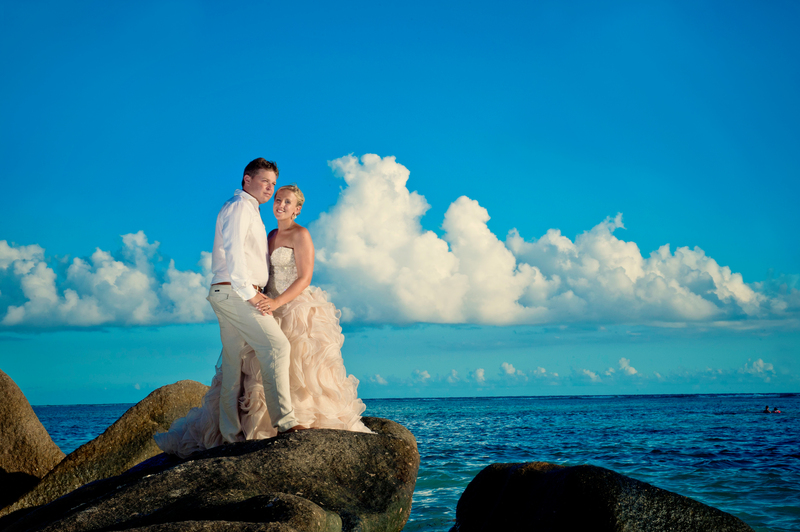 We speak from experience as Le Nautique Seychelles had our very own destination wedding back in 2013, when Natasha and Stuart (who were living in Australia at the time) got married on the beautiful, laid-back island of La Digue surrounded by their closest family and friends. 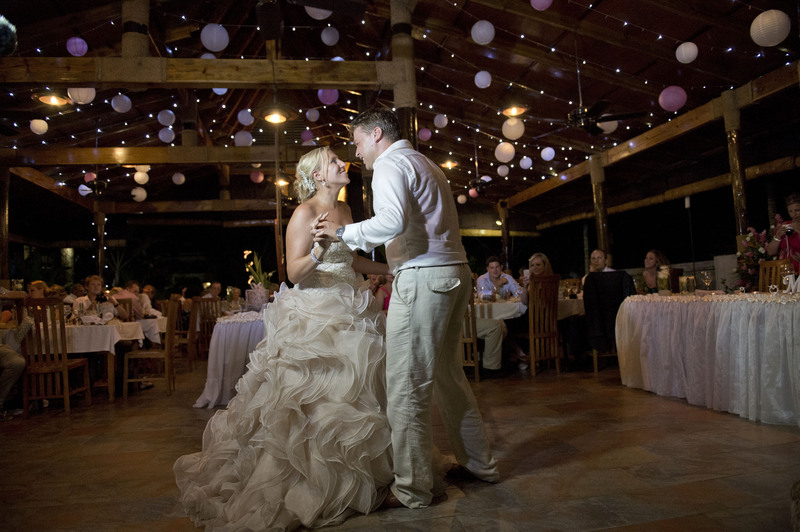 Other than the stunning location, a destination wedding allows couples the chance to extend their celebration from four hours to four days (if not longer), giving the couple and their guests a personal, memorable and unique holiday experience with a lifetime of wonderful memories. 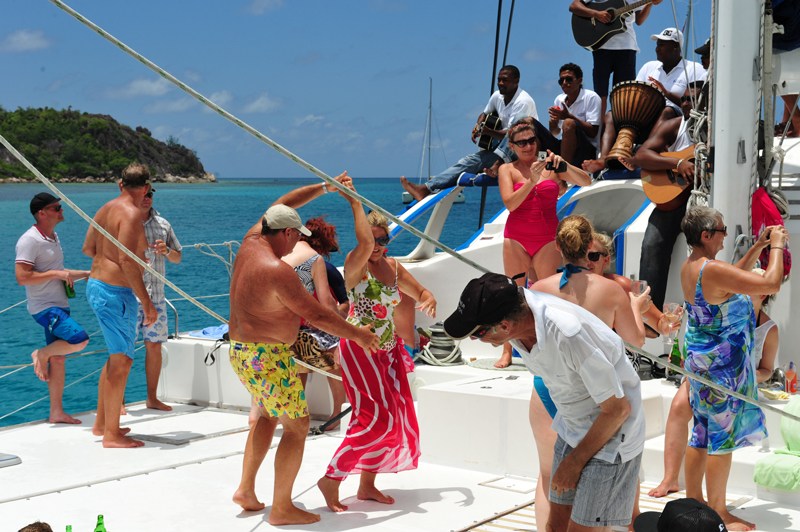 A few days before their own wedding, Natasha and Stuart hired the beautiful “Catalina” for a chilled day out on the water with their friends and family – many of which had just flown in from around the world and had never visited Seychelles before. 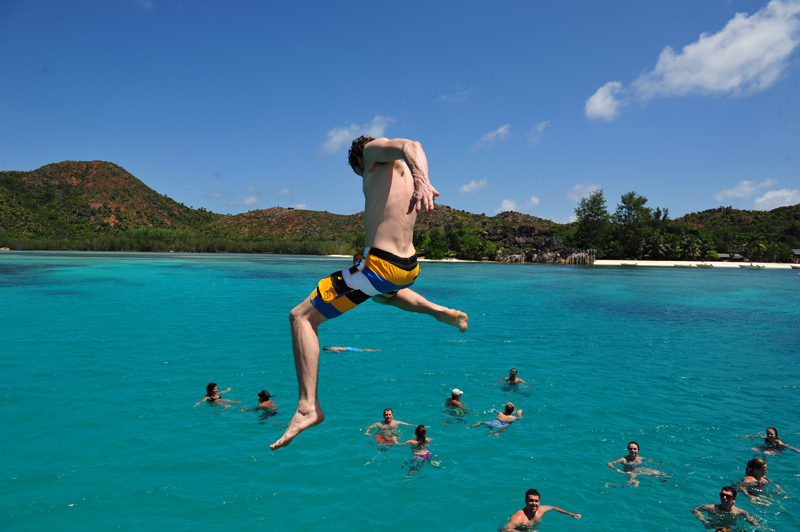 Sailing between the beautiful islands of La Digue, Praslin, Iles Coco and the Sister Islands was just magical and there was plenty of fun to be had for sure. 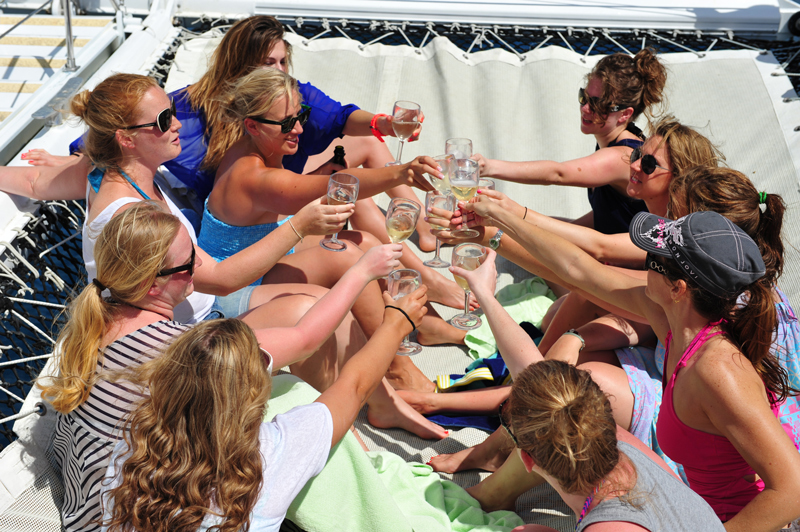 Many of the wedding guests say that this was one of the most memorable days of their trip (other than the wedding of course). 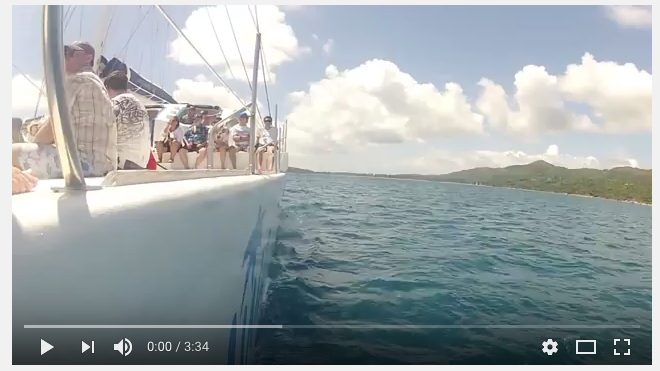 To see what we got up to that day on the Catalina check out this fantastic video by Rezolution Photography (click on the photo below to watch)…. The Seychelles Islands offer the perfect backdrop for any destination wedding – endless white sandy beaches, azure crystal blue seas, swaying palm trees, lush tropical vegetation and striking granite rock formations – not mention the friendly locals who will go out of their way to make your special day as memorable as ever. 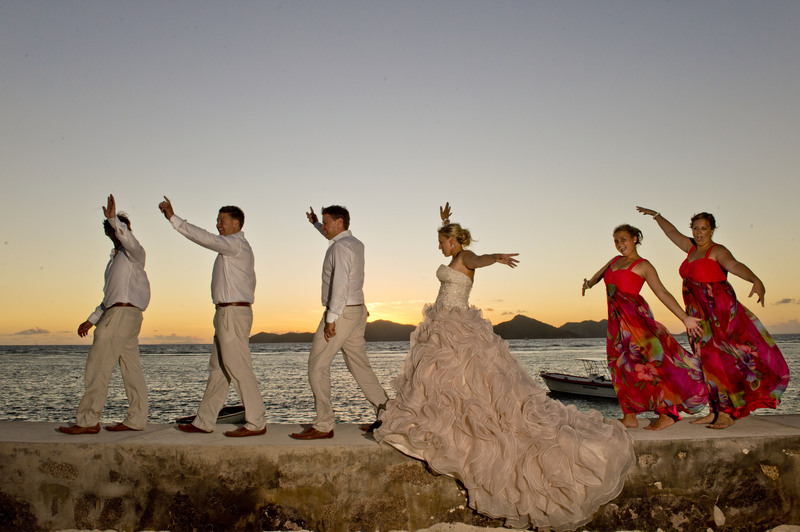 When planning your wedding in Seychelles, there are certain legal requirements which need to be adhered to. 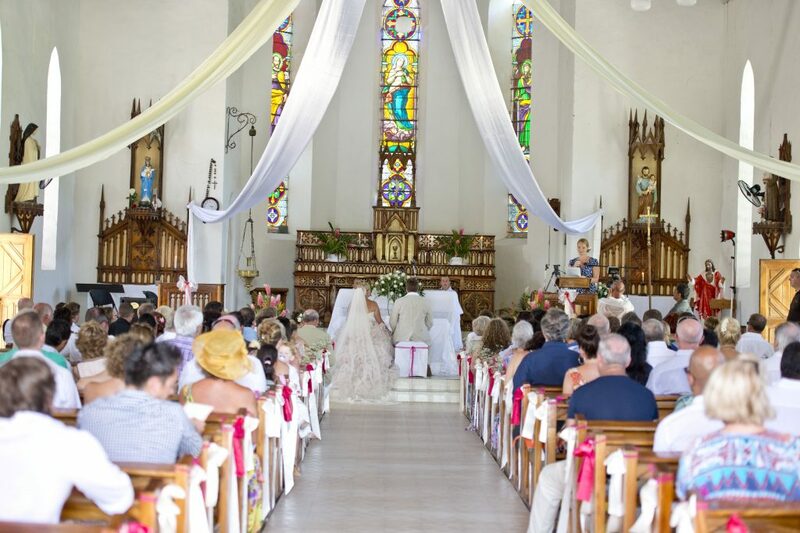 Check out the Legal Requirements for Marrying in Seychelles document for more information (credit: Seychelles Tourist Board). Every wedding can be catered for here in the Seychelles, you can chose a relaxed bohemian beach wedding by lapping azure seas, an intimate civil ceremony in the grounds of your waterfront hotel, a romantic ceremony in a stunning local church or even on a boat sailing into the sunset. 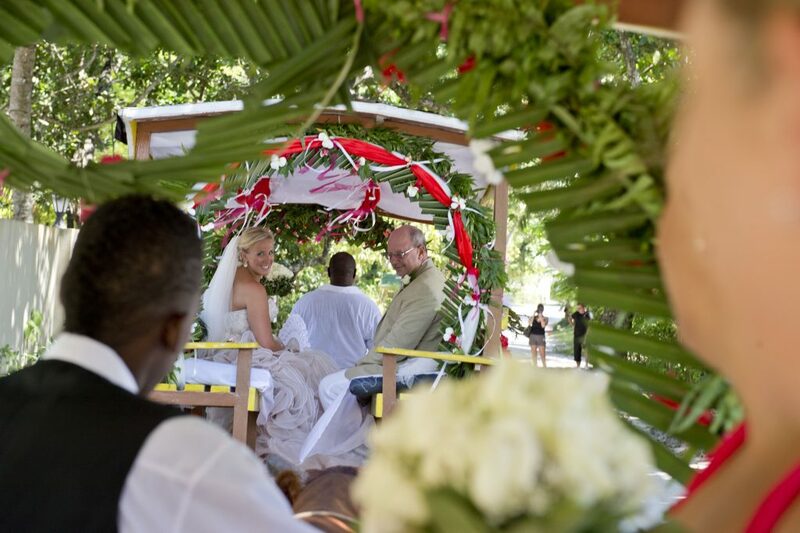 In La Digue you can even take a beautifully decorated traditional ox-cart to your wedding venue! In order to organise a religious wedding ceremony the Seychelles Tourist Board note that you will have to contact the relevant religious body, and that a civil ceremony must be performed prior to the religious ceremony for the marriage to be recognised under Seychelles law. The Seychelles Tourist Board have kindly provided contact details for the various religious bodies in Seychelles, along with details for the Civil Status Office – visit their website HERE. So if you are thinking of a destination wedding in the Seychelles then look no further, the team at Le Nautique Seychelles are here to help you with all your wedding planning needs. Feel free to send us an email with any questions or queries you may have about your special day – we look forward to hearing from you.